Someone rightly said, love is all we need; and when love is teamed up with the purity of lab grown diamonds the result is a truly mesmerizing piece of jewelry. 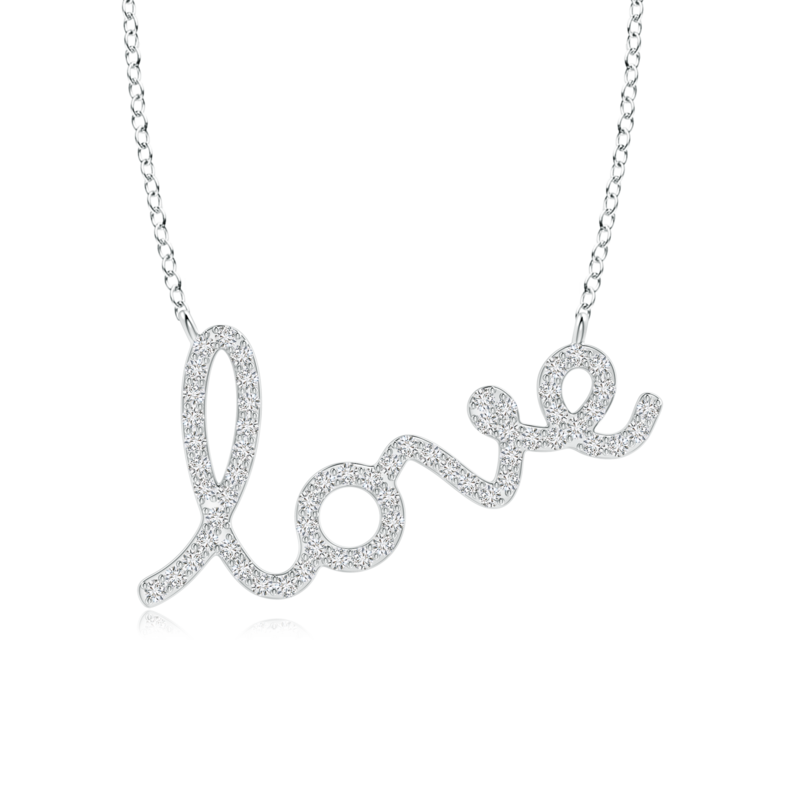 Expertly crafted from 14k white gold, this love script necklace lets its expressive design do all the talking. The frame of this beautiful pendant is embedded with eco-friendly diamonds that dazzle with an unmistakable charm. A product of refined craftsmanship, this love pendant necklace is sure to instantly grab attention.